Invitation to the launch of The Skeleton Woman: A Romance by Renée (Huia Publishers). 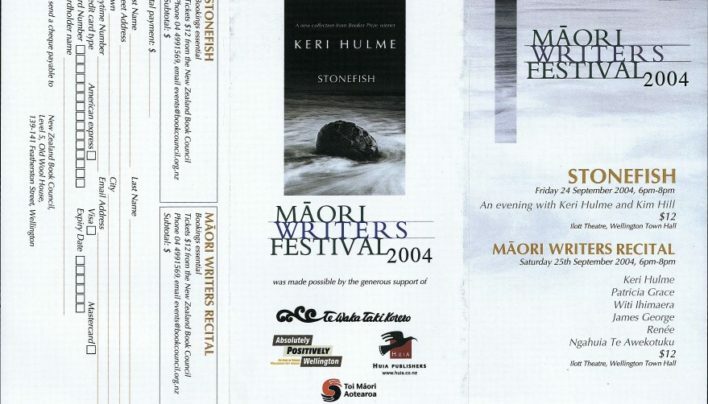 The programme for the 2004 Māori Writers Festival. Photos from the opening of Wednesday to Come by Renee at Downstage feature on the Capital Times social page. Skeleton Woman by Renee, published by Huia Publishing was launched at Unity Books and photos from the event appeared in the social column in the Capital Times.